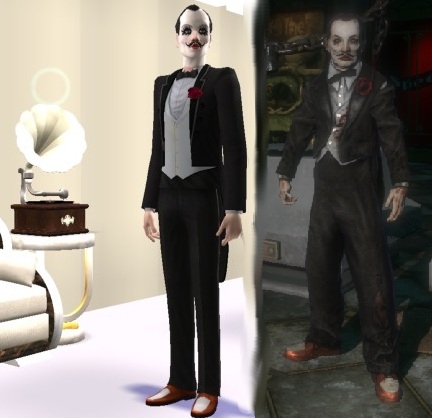 Moving along, I created three pieces of custom content for him; I edited HP's fantabulous Idolatry of Flesh skin in place of making a facemask (I needed a white scalp, too), retextured the Unsavory Charlatan's moustache from Bon Voyage and recolored the dancer's tuxedo from Freetime. So you'll need those expansions to see him properly. If I get enough demand, I'll try and make a basegame compatible version. Without further ado, here's Sander frakking Cohen! 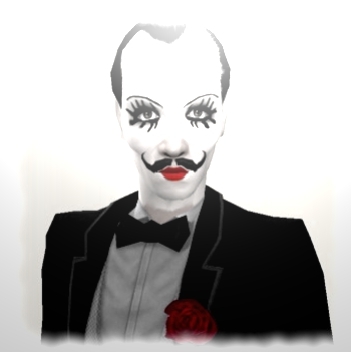 I took his basic look and vibe from the amazing BioShock, but edited it a little bit to make him look a little less "I'm a flamboyant theatrical who's slightly crazy" to "I'm a flamboyant theatrical who's going to coat you in plaster and eat your children"
Fly, little moth; fly away! Please don't redistribute him or the CC I made for him without asking me first. Also, if you use him in a story or movie, or even if you make a few tweaks to make him more accurate to the game, please contact me - I love to keep tabs on my creations. This isn't a sperm bank, after all. Hysterical-Paroxysm for her awesome Idolatry of Flesh skintones. AlfredAskew for, well, being awesome. Fanseelamb for making Maxis-Match so appealing. 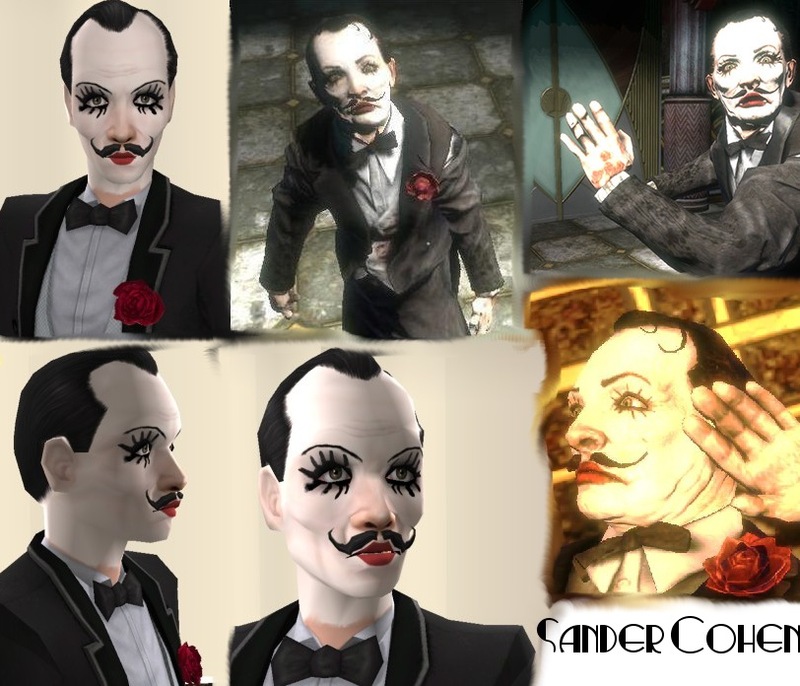 2K Games for making BioShock and, by extension, the icon that is Sander Cohen.